The GC battle at the 101st Giro d'Italia will be a ferocious fight between these 10 contenders. The GC battle at the 101st Giro d’Italia will be a ferocious fight between these 10 contenders. The four-time Tour de France champion needs no introduction. He’s one of the world’s strongest climbers who also happens to be one of the world’s strongest time trialists. Those skills propelled him to a rare Tour-Vuelta double in 2017. 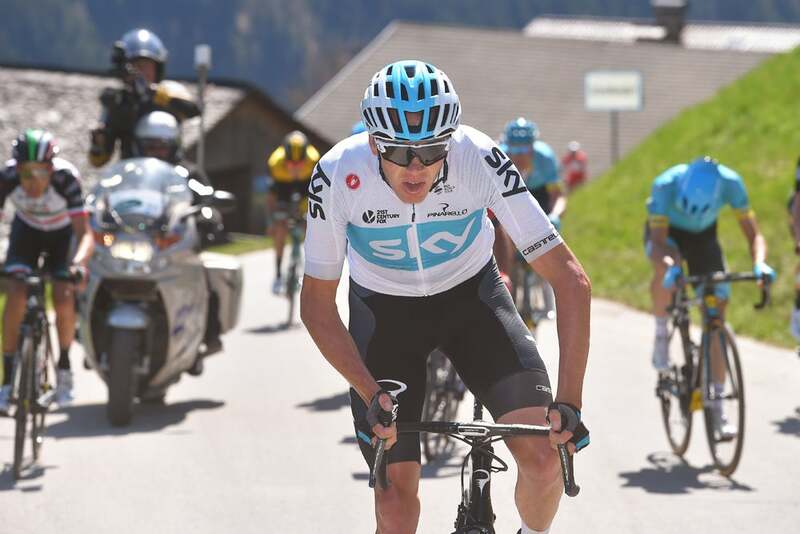 It was unclear whether Froome would even ride the Giro d’Italia, due to his Adverse Analytical anti-doping test result from the 2017 Vuelta a España. Yet Froome is headed to Jerusalem, dogged by a thick cloud of questions and criticism. On top of that, he’s only finished the Giro once in his career, landing 32nd overall back in 2009. A Giro win won’t be easy, even for the best grand tour rider in the sport. Froome has the tool set and the team to win the Giro and complete the first half of his bid for a Giro-Tour double. If he shows up in form and fully committed to the task — and if he stays upright and healthy all race — he should be able to take pink convincingly. Still, that’s a lot of ifs. 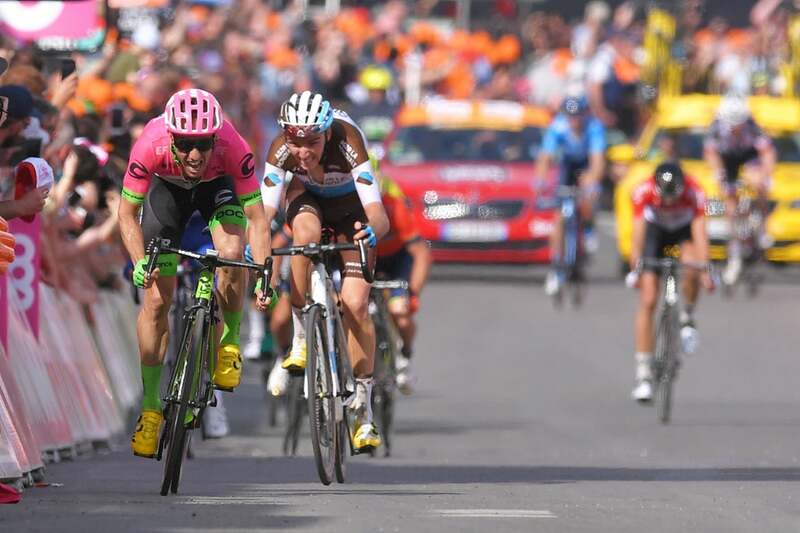 That makes this Giro a more wide-open affair than any of the past Tours de France that Froome and Sky have dominated. Dumoulin is the defending champ. 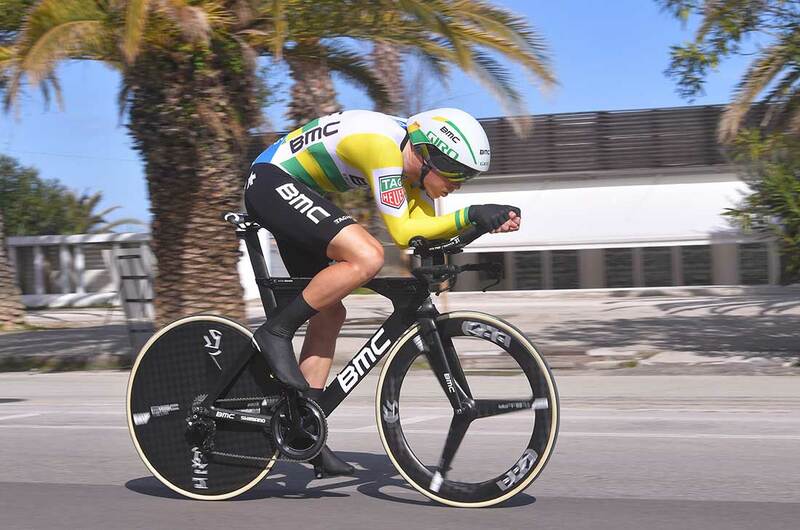 He’s the world’s best time trialist, and he has the rainbow jersey to prove it. He improves at climbing every year, and he’s still only 27. Dumoulin was brilliant in the 2017 Giro d’Italia, but that doesn’t mean he’s a world-beating climber. He is not on the same level as Froome or Aru. With less than 50 kilometers of TTs in this Giro, Dumoulin will have to find gaps on other terrain. 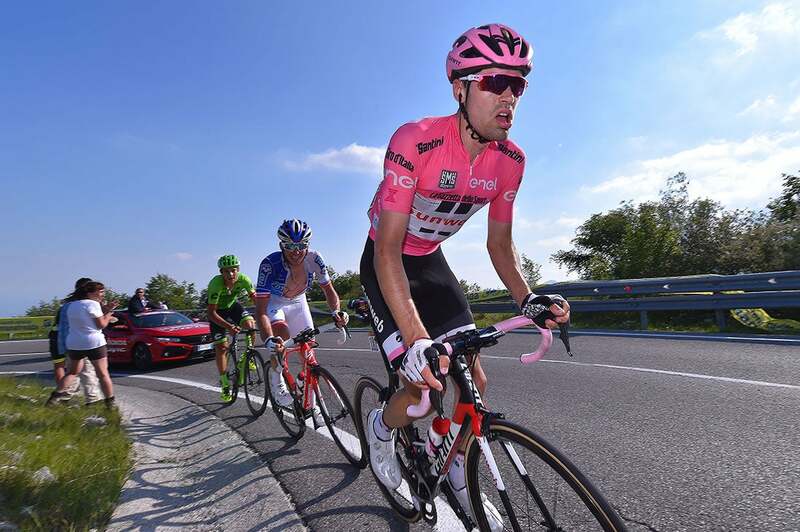 One bad day could spell the end of his pink jersey defense, as it did his bid for red at the 2015 Vuelta a España. While strong, his team lacks the depth of Sky or Movistar. Dumoulin scored impressive results early in 2017. Not so in 2018. Dumoulin may need to build his form during the Giro. Or perhaps he’s saving his legs for the Tour in July. One of the best pure climbers in the peloton, Aru has stood on the final Giro podium twice in his career. He has one overall grand tour victory courtesy of the 2015 Vuelta a España — where he put a race-leading Dumoulin to the sword on the final mountain stage. Aru has two clear weaknesses. First, he’s mediocre against the clock. Second, he suffers from the occasional bad day more than most grand tour contenders. 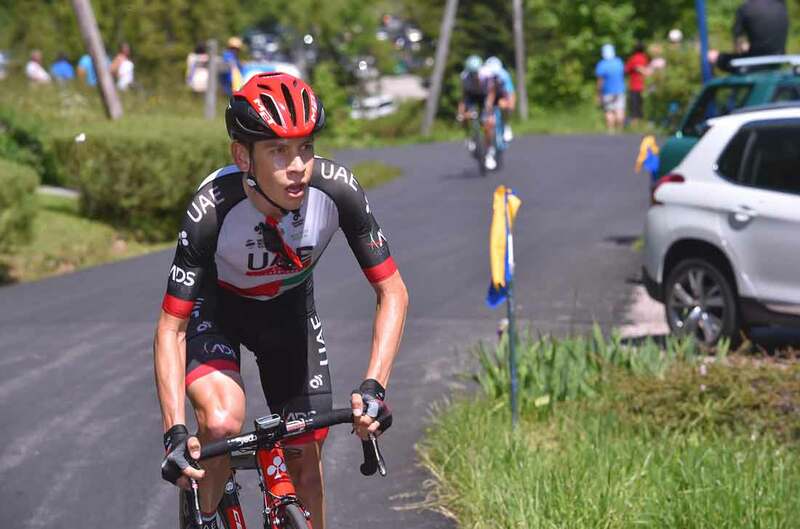 Aru requires massive climbs to really shine — lucky for him, this Giro has plenty of them. 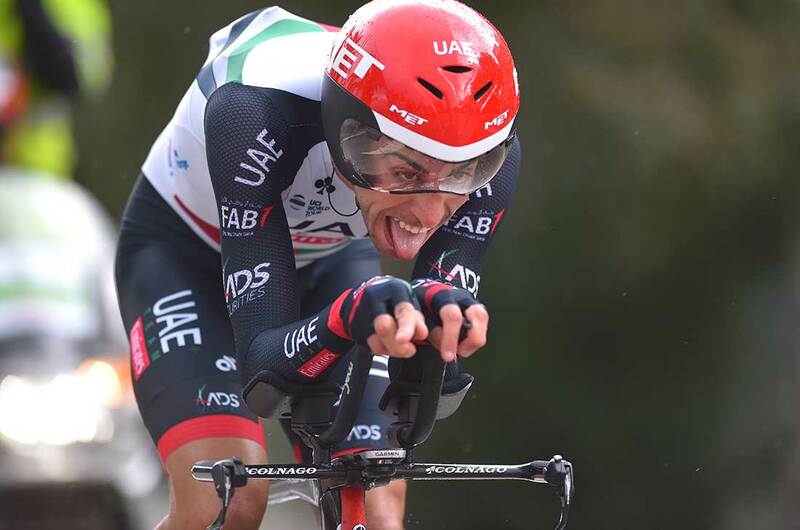 Aru’s new UAE Team Emirates squad could decide his fate. In previous years, Aru benefitted from Astana’s strong lineup. Can his new team match Astana’s strength? Sure, Aru won’t have Astana’s A-team backing him up anymore — he also won’t have Alexander Vinokourov looking over his shoulder. Freed from the shackles of a notoriously demanding boss, Aru may finally reach his full potential. Injuries and a personal tragedy got between Chaves and the 2017 results he wanted. Still, the Colombian climbing ace is a two-time grand tour podium finisher. He’s as good at riding up mountains as anyone on the start list, even if his time trialing leaves much to be desired. Chaves tends to lose big chunks of time whenever the aero bars come out. He must limit his losses on two different TT stages in this Giro. 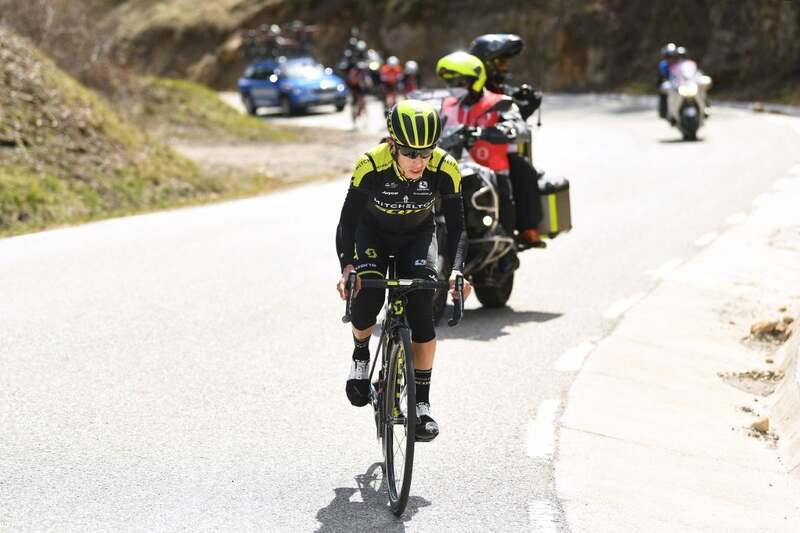 Fortunately, he’ll have plenty of chances to regain time in the mountains, and a powerful foil and fellow contender in Simon Yates to play off whenever the road goes up. Chaves needs a big result to reset the conversation after the disappointments of 2017. A horrible injury early in his career condemned him to a late start, which means he’s already 28 despite being seen as an “up-and-comer” by many. Now is as good a time as any for Chaves to swing for the fences. If the GC doesn’t work out, he should still be fighting for stage wins in the mountains. The much-hyped Briton won the young rider’s jersey at last year’s Tour de France. He’s still searching for a top-five finish at a grand tour — something his brother Adam has already accomplished. He’s a strong climber with a decent time trial. Having Chaves around could be a huge asset. Of course, it could also present a leadership challenge if the pair is close together on time in the overall standings. Yates will face the pressures that greet all up-and-coming GC threats. There is a lot of hype around Mitchelton-Scott’s core of developing grand tour hopefuls. Yates is no longer eligible for the young rider’s jersey. That means a quiet GC finish will not earn him the Best Young Rider consolation prize. 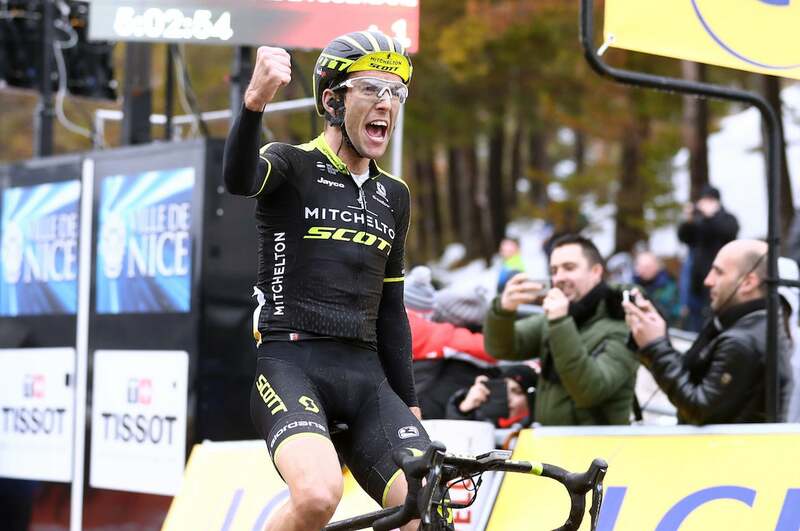 Hopefully, that inspires Yates to dig deep for that elusive podium spot. His steady and consistent riding style should pay big dividends in the third week. As a grand tour rider, López is green. He’s completed just one three-week race, last year’s Vuelta a España. 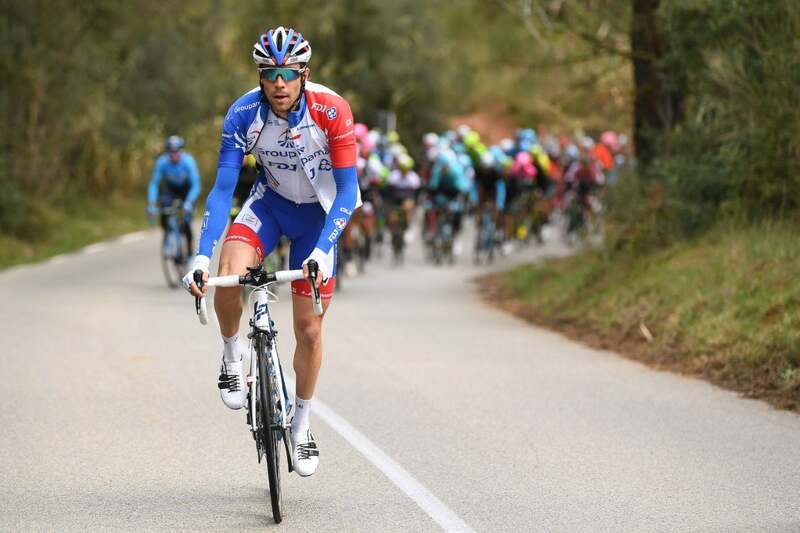 As a grand tour prospect, however, López is bursting with promise. He nabbed two stage wins in that Vuelta appearance en route to eighth overall, and that was despite having very little preparation due to injuries. He’s an explosive climber who won’t totally fall apart against the clock. López just turned 24 and has never raced the Giro, and he’s been thrust into a leadership role on one of cycling’s biggest teams. He’ll try to minimize it, but the pressure will be immense. That burden could trigger López’s penchant for crashing — something he’s battled throughout his career. Can López master his nerves? If López makes it to Israel without suffering any serious crashes in training, and if he can stay upright through three weeks of racing, he has the raw talent to battle for the overall win with the very best in the world. The rise of his compatriot Romain Bardet has relegated Pinot to a bit player in France’s quest to win a grand tour. That’s not really fair to Pinot. He’s been on the Tour de France podium, and he finished fourth at last year’s Giro. Once a pure climber who couldn’t time trial or descend to save his life, Pinot has become a well-rounded contender. Pinot is not the most consistent rider in the peloton. He can disappear on the biggest stages when it matters most. Worse, his team lacks the strength to overcome bad luck. Everything will need to go right for Pinot to contend for pink. Considering his climbing chops and recent developments against the clock, Pinot has the tools to fight for the win. He has a legitimate shot to reclaim the crown of France’s GC favorite if he can stay healthy and sharp through three weeks in Italy. Meintjes has been in the “hot prospect” conversation for several years. He spent the last two Tours de France proving he was worthy of the hype, delivering back-to-back top 10s. For both of those results, his climbing legs proved to be his best asset. Meintjes is another climber who struggles against the clock. In last year’s Tour, for example, he lost nearly three minutes in the two time trial stages. His Dimension Data squad also lacks the depth for a serious podium bid, which will mean the South African can expect to find himself alone in the high mountains. Plenty of riders struggle in the third week of a grand tour, but Meintjes only gets stronger as the race goes on. He also tends to ride consistently throughout his grand tour bids. Watch for him in the decisive final few stages of this year’s Giro. Once a track star, the 27-year-old Australian has gradually developed his climbing legs, and claimed GC wins at the Tour Down Under and the USA Pro Challenge. Dennis has yet to prove his strengths as a grand tour contender, and questions remain about his ability to climb with the best in the world. The raw talent is there, and Dennis has experienced people helping him in the quest to develop into a three-week racer. He has plenty of reasons to be optimistic about his chances for at least a top 10. Woods has rapidly joined the conversation of grand tour outsiders with three seasons of strong climbing performances. He finished seventh overall at the 2017 Vuelta. He also earned his best career result in a one-day classic, second place at Liège-Bastogne-Liège. Woods worked on his time trial over the offseason but has a lot to prove in that discipline if he wants to truly be in the mix this Giro. The 31-year-old Canadian has continued to surprise since first emerging as a WorldTour-level talent just a few years ago. He’ll want to keep the pleasant surprises coming this spring in Italy.